UPDATE: Here’s the transcript to the #Blogchat with Jessica Northey! NOTHER UPDATE: #Blogchat was the Top Trending Topic on Twitter last night, thanks again Jessica! 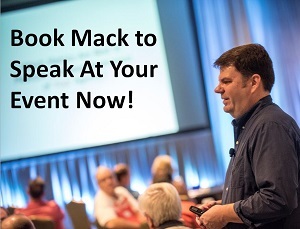 Does your company or brand want to get in on this excitement and sponsor #Blogchat in May? Click here price and details. I’m thrilled to announce that the most popular #Blogchat Guest Host EVER, Jessica Northey is joining #Blogchat again this Sunday! Jessica is a dear friend and a truly good person, who also happens to be a social media powerhouse. She has over half a million followers on Twitter and another two million on Google Plus. Additionally, in 2011 she started #CMChat, the first Twitter chat devoted to country music. Since that time, the chat has hosted a who’s-who of country music: The Oak Ridge Boys, Alabama, Sugarland, Clint Black. Additionally, as #CMChat has grown by leaps and bounds, she’s found ways to push that growth past Twitter. In fact, she has a very robust site created from the chat, CMChat.com. I love this site because it not only focuses as an extension of the #CMChat on Twitter, but it’s also a Country Music portal, with information about country music and the guests that will be appearing at future #CMChats. It’s a great example of building a Twitter chat around something you are passionate about, then extending that into creating a site or blog to help support that passion. Which is exactly why Jessica is perfect to join us this Sunday for the topic of Creating a Blog or Site For Your Passion. She’s done what so many of you are wanting to do with your blogs, and actually what I want to do with #Blogchat. More on that at the end of this post. Q1 – How did you decide you were ready to launch a site/blog for #CMChat? How did you know you were ready? Q2 – When you started the site, what were the first 2-3 things you tackled? Strategy? Design? Q3 – What is the one thing you wish you could go back and do differently with launching the site? Q4 – What is the one thing you learned about launching CMChatLive.com that totally surprised you? Q5 – If you could give one piece of advice to #Blogchat about starting their own blog or site, what would it be? I got a chance to chat with Jessica a couple of days ago and she’s got some very interesting things to share with you. I love talking to Jessica because I always come away with so many interesting ideas, and I know you will too! So join us on Sunday for Jessica Northey discussing Creating a Blog or Site For Your Passion. 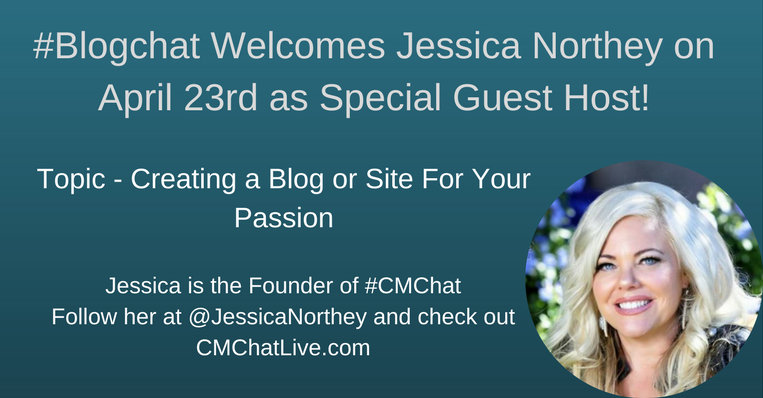 Make sure you are following Jessica on Twitter, and also check out her site CMChatLive.com! Now, I wanted to give you a bit of a #Blogchat update. For the last few years, I’ve unfortunately spent less time cultivating the community at #Blogchat. In 2013 my book, Think Like a Rock Star came out, and my consulting business shifted and I decided to spend my time on other areas. However, the chat has continued to remain very popular, and increasingly with college students, whose instructors are requiring them to attend #Blogchat as part of their course work. Honestly, this is probably the one thing in relation to #Blogchat that I am the most proud of. That universities and colleges across the country would trust its students with learning from the #Blogchat community, well…it’s an incredible honor. So I’ve decided to make a few changes to #Blogchat. The first one is that starting immediately, my sister Beth will take over the @BlogchatNews account on Twitter. She actually started on this a couple of weeks ago and we’ve already seen a nice bump in engagement from her efforts. @BlogchatNews will bring you all the latest news and updates on #Blogchat. Additionally, @BlogchatNews will be more engaged throughout the week. We want to expand #Blogchat beyond simply being a Sunday-night chat. During the week, we’ll be more engaged with the #Blogchat community, and will especially focus on promoting the most active and supportive members of the #Blogchat community. So starting immediately, @BlogchatNews will be the new Community Manager for #Blogchat, and Beth will be happy to help you and engage with you on Twitter, so please follow her there. Long-term, one of the plans I want to explore for #Blogchat is having its own site. This is a big part of the reason why I wanted to have Jessica on as guest this week, because what she’s done with CMChatLive.com is something that I would eventually like to do with #Blogchat. I can envision a place where we house transcripts from past #Blogchats and share posts from the #Blogchat community and serve as an additional resource for the community beyond just the Twitter chat. Oh and also make sure you check out The #Blogchat Weekly from Paper.li. This is a weekly collection of some of the most useful and instructive blogging articles from #Blogchat participants and select friends of #Blogchat. So if you’re a fan of #Blogchat, hang on, things are about to get a lot more interesting very soon! And I’ve just lowered the price for next month’s #Blogchat sponsorship, so if you’d like to grab it, act fast! See you Sunday night at 8pm Central for Jessica Northey! Great to see that Jessica Northey will be guesting at #BlogChat again! I’ve been scarce there in recent months, but the topic is timely. Hey Steve, will be good to see you back!